Todd Groesbeck earned a BFA degree at the School of Visual Arts in New York City. An accomplished graphic designer and commercial illustrator, he is also an American Realist painter. He enjoys traveling with a sketchbook, creating studies in diners, bowling alleys, and outdoors in rustbelt towns. 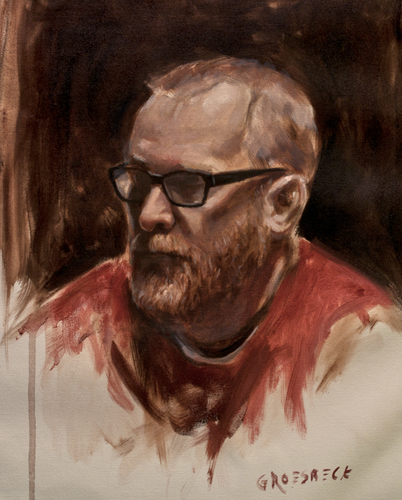 Todd uses his sketches for inspiration to create works in oil paint in his home studio, painting candid examinations of everyday, working-class American life. Todd's favorite subjects are the people and the land in Western Maryland, and Pennsylvania.